Mr Noy has parted ways with the association, stating: “The Association is moving towards irrelevant directions." 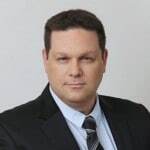 Smart Capital Forex broker CEO Itzik Noy, is stepping down from his role as Head of Israeli Trading Arena Association (ITAA) after a year in office. Noy’s successor is Tzah Druker, TGL Colmex Capital Markets Ltd. Chairman since 2014 and former TradeNet CEO. He’s a BA graduate in Computer Science and Mathematics from Bar-Ilan university and a long time veteran of Israeli financial markets and technology industry. Mr. Druker was elected by the Trading Arena Association general assembly earlier this month and will serve as the Head of the ITAA supported by senior ITAA board members. Mr. Noy will remain in his role as a senior ITAA board member but intends to focus his efforts within Smart Capital. “I will concentrate on developing additional financial products, not only in the trading arena,” he added. Noy had succeeded in adding 13 forex brokers as an ITAA member in the past year, and he plans to cooperate with Mr. Druker. The Israeli Trading Arena Association was established in 2010 as a rooftopn organization for all forex brokers in Israel. ITAA has partnered with the ISA in the legislation process that is targeting forex brokers’ unregulated activities in Israel, due to be finished mid-2016.